Milk Thistle - an herb used traditionally to support normal detoxification functions of the liver. The strong antioxidant activity of the main ingredient in milk thistle (silymarin) helps promote healthy liver function and to protect healthy liver cells. L-methionine - amino acid that the liver uses to create glutathione. Glutathione is powerful amino acid made by the liver, which acts as an antioxidant and detoxifying compound.‡ Supplementing with L-methionine can help raise glutathione levels. N-acetyl-cysteine (NAC) - the liver also uses NAC to create glutathione. Supplementing with NAC can help raise glutathione levels and thus support the natural detoxification functions of the liver. Alpha Lipoic Acid - antioxidant that helps revitalize glutathione and supports detoxification. Selenium - essential trace mineral that enhances the antioxidant power of zinc and vitamins to allow them to function better in their natural detoxification roles. 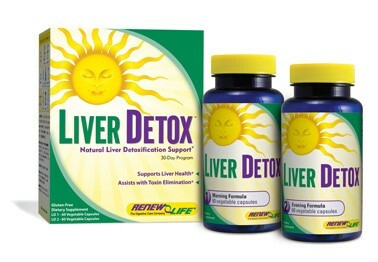 Ayurvedic Herbs - used to promote the natural detoxification capabilities of the liver. Among the most commonly used herbs are Boerhavia Diffusa, Eclipta Alba, Terminalia Belerica, Tinospora Cordifolia, and Picrorhiza Kurroa. Dandelion - herb used traditionally to stimulate bile production and promote healthy liver detoxification.